Did I ever mention that I was a total David Bowie freak? Oh Yeah…Ziggy Stardust and the Spiders from Mars …the Thin White Duke….Glam rock was one of my favorites looks – Silver eyeshadow, 6 inch plat forms, stand up shags, studded EVERYTHING….man, those were the days, huh? One of the advantages of not having an internet connection at home is that I am now “forced” to fill in the blank spaces between this activity and that with something that captures my attention for more than – say – 5 minutes at a time. Maybe it’s just me. Naw. It’s not just me. Have you noticed that the more time you spend on line, the shorter your attention span is? I’m not talking about a few days here and there – maybe when you’re home sick or closeted in on a rainy day – where you decide to Cyber Surf until 3 a.m. instead of Channel Surf. Speaking of channel surfing, I’m not much of a TV watcher myself….OK wait! Oh. Uh…That’s about it. See? I told you I don’t watch much TV, but when I do, well…I REALLY watch. As in “No, I’m sorry I can’t see you tonight Sir Hunkilicious unless you want to come over here to couch potato with me. See, Ben just threw Matty under the bus (or so he thinks) and I want to see if the girls are going to throw him back or not.” Have I told you yet about Sir H? WHY am I writing about Hell’s Kitchen again? OH! Right! As in my ongoing recovery from Attention (or is it Activity??) Deficit Disorder that was – perhaps – caused by spending too many hours online. Clicking here, reading this, surfing there, viewing that. For someone with An Inquiring Mind (and occasionally, too much time on her hands in front of a computer), the Internet is either the Bane or the Boon of existence. And as we all know, existing isn’t the same as living. 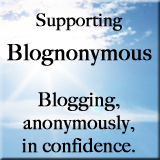 While I am finding it challenging to squeeze in any sort of ‘responsible’ blogging (where did the days of Blogging Without Obligation go, anyway? Is that even possible?) with emailing my friends and family, and preparing card readings (I got three requests just this week), I AM enjoying the freedom that living Netless on the home front is providing me. Why, I’m doing things like actually sitting still with one project for more than 15 minutes! Whoa! And I’m finishing books that I start (do you know that I feel guilty when I would look at a pile of half-read books? ), and going for long rambling walks for no other reason that it’s just a lovely thing to do! I’m experiencing bouts of spontaneous culinary investigationism, visiting with neighbors more and spending hours with my chin in my hand, looking out through the trees limbs, and creating my future. For a long long time I was so relaxation challenged that it took some body part screaming loudly before I was “forced” to take some R&R that I really needed. Fortunately, I’ve learned – or retrained myself – to enjoy “Doin’ Nothin” time as an activity (LOL) to be embraced with pleasure and a clean conscious. Gone are the days of Sneak Napping, Stealth Lounging, and Cloaked Chillin’. I can actually stay in bed for HOURS on a Saturday morning without feeling much more than a slight twinge of “isn’t there something worthwhile I should be doing?” rippling my skin. As I read back over this post, I realize something again. Something very very important. As technology continues to hurl life into Tomorrow at break neck speed – with our bodies like hosts for freakishly prolific and parasitic iPods and iPhones and Earbuds – it becomes more important than ever before for us to DISCONNECT. We need to remember to disconnect to STAY CONNECTED. We need to stop bombarding ourselves with news and music and emails long enough so that we can rest in the arms of Silence and hear our own heartbeats. Our own breathing. Our own souls. Because our souls really are broadcasting to us LIVE every moment of every day. And as things continue to spin out of control around us, we’re going to need that still, steady CENTERED place within….to guide us safely Home…..
(EDIT! I had a completely different Bowie song up…but after reading GoldenFeri’s comment, I just HAD to change it! READY EVERYONE??? You know what to do!